With more and more online marketplaces that sellers need to be present on, it’s becoming harder and harder for them to manage all of their listings. That’s why software developers have been trying to create newer and better tools to help sellers manage their online businesses and this is how we have developed our listing software. 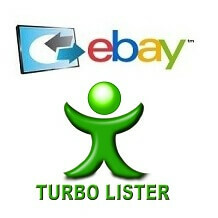 Even eBay had their own tool called Turbo Lister, which was very helpful for their customers. It allowed eBay sellers to list on multiple eBay accounts, manage their listings, bulk update the prices or stocks if needed. Sadly, they have discontinued Turbo Lister last year, meaning that they have opened the door for other listing software companies to take over. In order for your business to be successful, you have to be present on more than one online marketplace. Which means that you have to list your inventory separately on each of these marketplaces which takes up additional time, money and resources – leaving you with less time to focus on the growth of your business. Ad-Lister has been around since 2006, meaning that our team has had over a decade to accumulate data on what the customers need so that we can offer the ultimate listing experience. Our listing software started off as an eBay listing tool and as time flew by we’ve noticed the high demand for a tool capable of listing on multiple platforms, so we have developed Ad-Lister to be the top-tier multi-channel listing software that it is today. Using Ad-Lister, you can import your products from eBay or just create new ones using our interface, and then list them onto Amazon or any of the major e-commerce platforms such as Magento, WooCommerce, BigCommerce, Shopify etc. 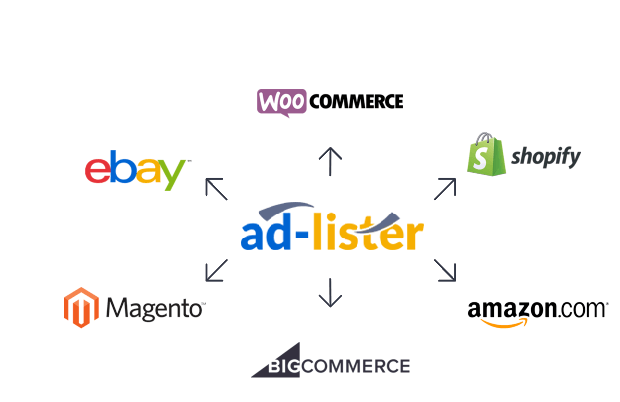 Ad-Lister offers a variety of features that can help you save time when managing/listing your products across all these different platforms. The Ad-Lister interface is clean and intuitive, making it easy for you to navigate and to make the necessary changes with only a couple of clicks! Bulk listing/editing: – you can use this feature to edit multiple products at once and then post them onto your main sales platforms directly, saving you hours of work. The bulk edit feature is also useful when it comes to keeping your products up to date, as you can easily make price or stock updates and push them to your platforms within a couple of clicks. CSV file uploads: – this feature allows you to make changes to your entire inventory by using a master CSV file that you upload into our software. You can use this master CSV file to update all your product attributes and platform details. Then you can just go into Ad-Lister and push the changes to all your online selling platforms within minutes. Click here for a short Demo video. Data feed integrations: – automated data feeds help you remove countless hours of unnecessary labour, increasing productivity and sales. Feed automation lets you pull in large amounts of data form the suppliers directly, creating and posting the listings automatically for you. You can also set up default pricing rules and shipping options for the products coming into Ad-Lister via the data feed. Given the fact that Ad-Lister was originally built as an eBay listing tool, it has a lot of features for eBay listings as well. Meaning you can design unique listing templates to help boost buyer confidence, or you can add your custom HTML into the template and apply it to all your existing listings within a couple of clicks. Also, if your listings get ended or removed from eBay, you will still have a backup of these in Ad-Lister, allowing you to create new listings or re-list your items once they are back in stock. Overall, Ad-Lister is a very complex multi-platform listing tool that can easily be tailored to suit your needs. It comes built-in with a lot of features that will help you improve your business’ workflow and increase your sales. If you have any questions regarding Ad-Lister, please feel free to contact us on (0)121 285 1052 and one of our team will be glad to help you out.